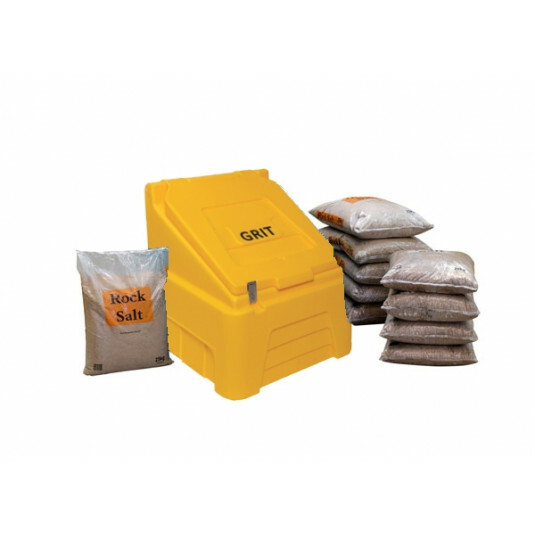 Our 200 litre stackable grit bin with 10 bags of Winter salt is the ideal winter preparation kit for domestic and small business use. with your company details to open an instant 30 day credit account (subject to status and completing an account application form). please contact our sales office for precise delivery costs. For orders less than £150 net, there is a small carriage charge of £8.50.